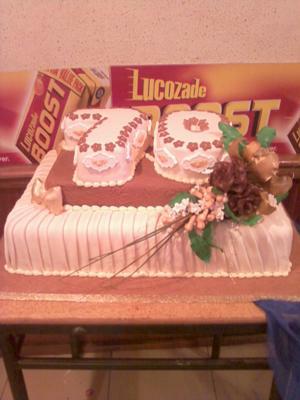 This 70th birthday cake is a three tier cake stacked together with layers of sugarpaste creating a fabric effect. Very pretty! You're doing fantastic cakes!!!! Absolutely beautiful...so elegant. Good job! Very pretty, very good job.